Do you want to have a perfectly clean, disinfected, fresh-smelling and healthy home? Are you are sick and tired of using cleaning products with harmful chemicals in your everyday cleaning routines? You should start thinking about an alternative. 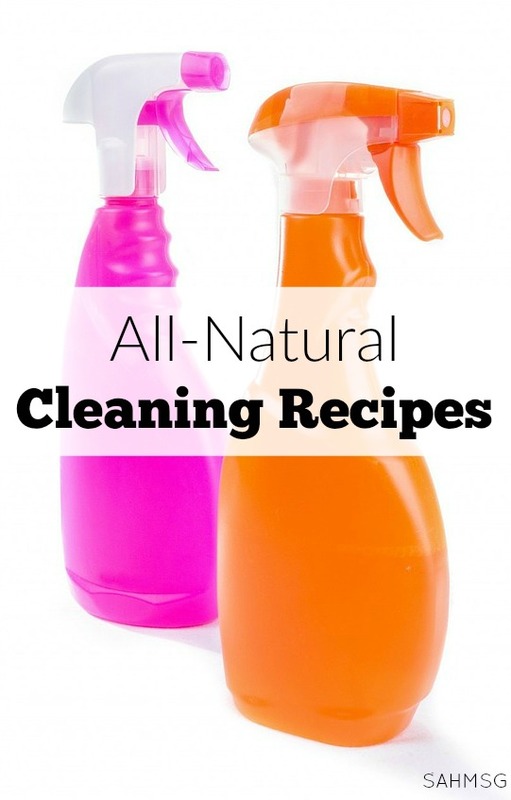 Try these simple and effective all-natural cleaning recipes to clean your home and save money! 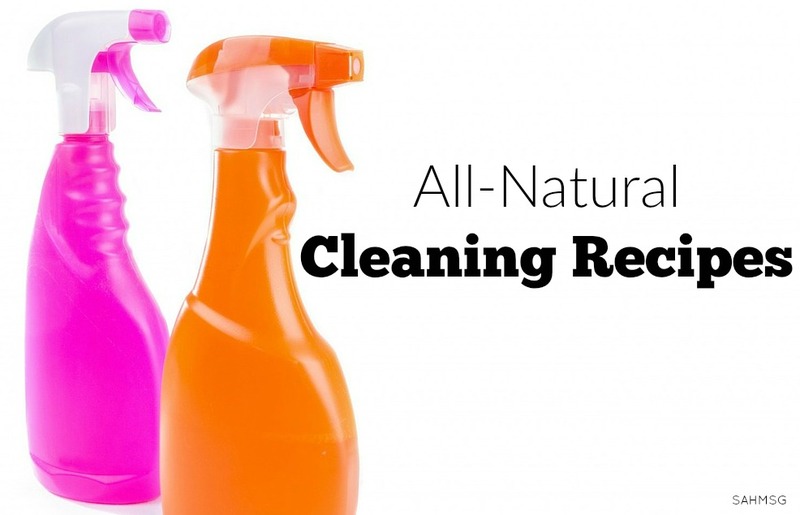 Nowadays many people are switching to more natural and safe cleaning products. There are a lot of advantages that come with that. First, you will lower your monthly cleaning budget by a lot. Second, you will use only safe and all-natural ingredients. Third, your home will be sparkling clean. Most of the recipes you will find online will include the magic and versatile essential oils. They are not only used for their natural and fresh scents, but also because most of them have additional properties that will help you keep your home healthy. If you have made up your mind to switch to DIY cleaning products, you will find some useful all-natural cleaning recipes for several very important cleaning products. The bathroom is probably the number one room for accumulating grime and germs. There is a very simple DIY recipe for an all-natural scouring cleanser. All you are going to need is some baking soda, a few drops of liquid dish soap, and essential oils. Mix a ½ cup of baking soda with a few drops of liquid soap, to make a paste. Add 5-10 drops of eucalyptus essential oil or tea tree essential oil. Use this to scrub the bathtub, shower or sink. Then simply rinse. Amazing results are guaranteed! For a toilet cleaner use ½ cup of baking soda and 10 drops of tea tree essential oil. Scrub the toilet bowl with a toilet brush. You can substitute another essential oil to give a nice smell such as Citrus Fresh essential oil blend, or Orange essential oil. One of my favorite all-natural cleaning recipes with essential oils is a floor cleaner recipe. To make this all-natural cleaning recipe with essential oils you need a bucket, water, vinegar and essential oils. In the bucket combine two parts warm water with one part white vinegar. Add 30-40 drops of essential oil to give it a nice scent. I love this one, because it makes my entire home smell fantastic even without having to use air freshener. The more drops of essential oil you add, the stronger the smell will be. I like to mix different essential oils together to make different scents every time. Be creative! Mix floral scents with woodsy ones, or oriental with floral. It depends on your taste. To make sure your home is not only clean but also as healthy as possible, TenancyClean in Battersea suggests you can make yourself a DIY cleaning spray with essential oils. This will make cleaning counters and spills easy, and will give your home a nice scent. To make this all-natural cleaning spray, you will need: 2 tbsp white vinegar, warm water, ½ tbsp liquid dish soap, and 20 drops of tea tree oil. Combine all in a spray bottle. The white vinegar is a champion at killing germs and microbes. Tea tree essential oil is known to have properties that support your health as well. Tea Tree essential oil is great to clean your kitchen surfaces, and any other surface in your home. In my opinion these are some of the most important cleaning products that you are going to need on a daily basis.Read more about the essential oil starter kit that contains each of the oils mentioned in this post, and get to work cleaning your home using these all-natural cleaning recipes. Shannon is from London and she is obsessed with essential oils. Her favorites are Lavender oil and Rosemary oil. Save 24% when you get started with essential oils today! 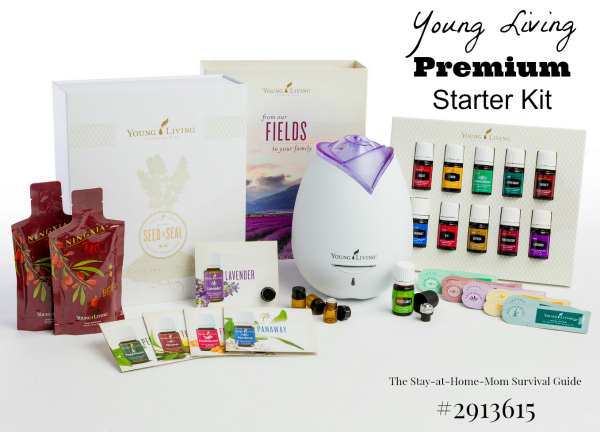 Sign up with Young Living and The Stay-at-Home Mom Survival Guide. For more DIY recipes using essential oils as well as tips for using essential oils at home to support health and wellness, view more about essential oils here. What are your favorite DIY all-natural cleaning recipes? Can the all-natural floor cleaner be used on ALL floor types without causing scratches or damage? I’m diving in the natural approach to cleaning after recently watching the film, The Human Experiment. It’s a vinegar, water and essential oils mixture, so it can be used on wood or tile. You just want to avoid using citrus oils on linoleum flooring. Always test a small area first, since I don’t know what your flooring is made out of specifically.